Michael Raupach was the Director of the Climate Change Institute, Australian National University, Canberra. This position followed a career of many years with CSIRO. His scientific foci included Earth System science, carbon-climate-human interactions, land-air interactions, and fluid mechanics. From 2000 to 2008 he was an inaugural co-chair of the Global Carbon Project, an international project studying the natural and human influences on the global carbon cycle. 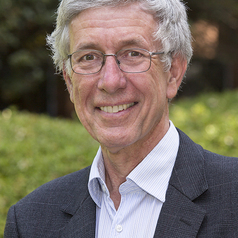 In recent years he co-chaired the working group drafting the Australian Academy of Science booklet “The Science of Climate Change: Questions and Answers”; led the report “Challenges at Energy-Water-Carbon Intersection” for the Prime Minister’s Science, Engineering and Innovation Council; and led the Australian Academy of Science project “Negotiating our future: Living scenarios for Australia to 2050”.